HP Deskjet Ink Advantage 2060 All-in-One Printer – K110a Drivers and Downloads.The Full Feature Software and driver solution is the complete software solution intended for users who want more than just a basic driver. If you only want the drivers (without the Full Software Suite), it is available as a separate download named “HP Deskjet 2060 K110a Basic Driver“. Operating System(s): Windows 8 (32-bit,64-bit), Windows 7 (32-bit,64-bit), Vista (32-bit,64-bit), Windows Xp. HP Deskjet 2060 K110a Full Feature Software and Drivers – Download. HP Deskjet 2060 K110a x64 Basic Drivers – Download (for only 64-bit). 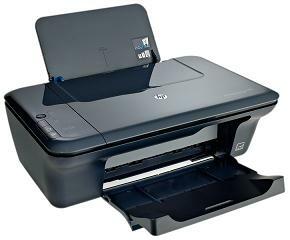 HP Deskjet 2060 K110a Basic Drivers – Download (for only 32-bit). HP Deskjet 2060 K110a Software and Drivers for Mac OS X 10.8 – Download. HP Deskjet 2060 K110a Software and Drivers for Mac OS X 10.7 – Download. HP Deskjet 2060 K110a Software and Drivers for Mac OS X 10.6,10.5 – Download.